Fitbit might be the leader of the fitness tracker pack, but we can all agree here at Wareable that there's still room for improvement. One of the areas we've been critical of in the past has been the pretty basic sleep monitoring experience. Fitbit is hoping to address that by adding a couple of pretty useful features to its companion app. Available across platforms now and compatible with all Fitbit trackers bar the Zip, the latest app update now offers the ability to set up a new Sleep Schedule, which aims to create a more consistent pattern of sleep. By looking at previous sleep data logged, it will make suggestions on the optimal amount of sleep you should be getting each night. It'll also offer customised bedtime and wake up targets and introduces reminders to help you to stick to your sleep goals. The new sleep features have been developed in collaboration with a series of leading sleep experts which include Dr Michael Grandner at the University of Arizona, Allison at Stanford University and Michael Smith at John Hopkins University. 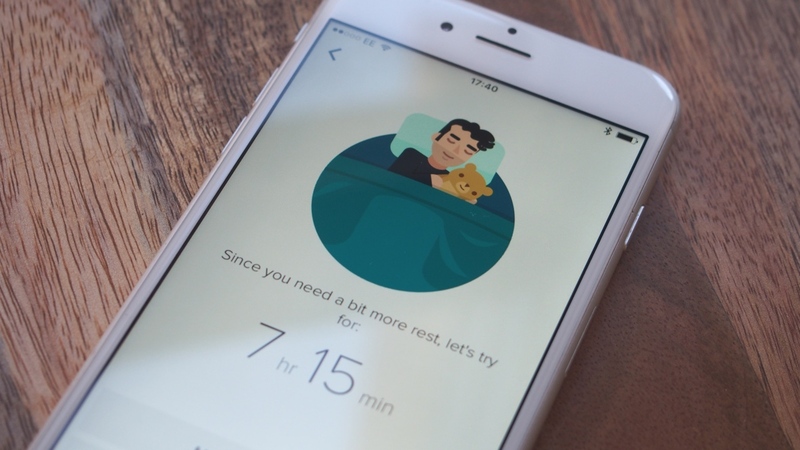 Fitbit claims this is the only app that offers personalised recommendations by analysing sleep data, although Jawbone may well have something to say about that. It is good to see Fitbit starting to put the tracking data into context to help make positive changes. When we spoke to Fitbit earlier this year, making substantial software improvements was a top priority. We've already seen a new app UI roll out recently and hopefully the more insightful (and useful) features like sleep schedule will just be the start of the improvements we see this year.